"Addressing the Nation with the Blues". 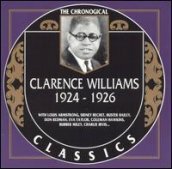 Although this is not the most essential of the Clarence Williams CDs released in the complete Classics series, all of the releases are highly recommended to fans of early jazz. Many of these titles are quite rare and historical. First Williams is heard as a singer on five period numbers from 1921 ("The Dance They Call the Georgia Hunch" is the most memorable) and has a vocal duet with Daisy Martin on "Brown Skin (Who You For)." 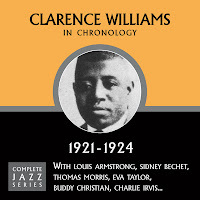 Williams also takes four piano solos and on most of the other titles features the great soprano saxophonist Sidney Bechet (heard in his earliest recordings); "Wild Cat Blues" and "Kansas City Man Blues" are classics. In addition Louis Armstrong joins the group on three numbers, two of which have vocals from Eva Taylor. 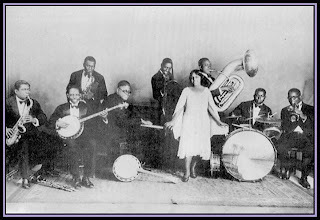 Personnel: Clarence Williams (vocals, piano); Erskine Hawkins (trumpet); Daisy Martin (vocals); Buddy Christian (banjo); Chappie's Hot Dogs (violin, alto saxophone, cornet, trombone, tuba, piano); Eva Taylor (violin); Sidney Bechet (clarinet, soprano saxophone); Joseph Samuels (clarinet, alto saxophone, tenor saxophone); Buster Bailey (soprano saxophone); Jules Levy, Jr., Tom Morris , Louis Armstrong, Thomas Morris (cornet); Ephraim Hannaford, Aaron Thompson, John Mayfield, Charlie Irvis (tuba); Larry Briers (piano, drums). Recording information: New York, NY (10/11/1921-11/06/1924). Ensembles: Clarence Williams' Blue Five; Chappie's Hot Dogs. 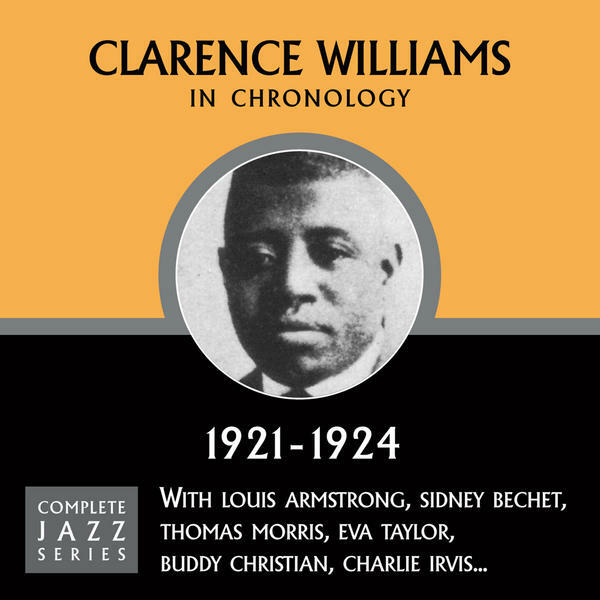 The second CD in the Classics label's "complete" Clarence Williams series traces the pianist/bandleader's recordings during a 14-month period. The first six titles feature soprano great Sidney Bechet (who has a unique sarrusophone solo on "Mandy Make up Your Mind") while the first 13 also have Louis Armstrong. The pairing of these two classic and competitive greats is at its zenith on a brilliant version of "Cake Walking Babies from Home"; Satch gets the edge. 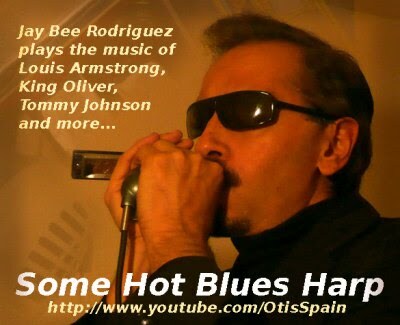 In addition there are notable contributions on these 23 performances by trombonist Charlie Irvis, tenor-saxophonist Coleman Hawkins, cornetists Joe Smith, Bubber Miley and Ed Allen, clarinetist Buster Bailey and singer Eva Taylor among others. Williams's series of hot performances really epitomized small-group 1920s jazz and every entry in this Classics series is highly recommended. Other highlights include "Coal Cart Blues," "Shake That Thing," "Dinah" (which features Hawkins on baritone), "I've Found a New Baby" and two versions of "Santa Claus Blues." Note: Domino issued as "Louisiana Washboard Band", Oriole as "Dixie Jazz Band" and BRS as "Clarence Williams' Washboard Beaters".